Following a tweet from Alive! asking about my tips for eating well on a budget, I tweeted a poll as to what content you guys would like to see more of on my blog. ‘Eating well on a budget’ was one of the options…and guess what, it came out top! When I create recipes I sometimes take it for granted that the ingredients I use are totally automatic and ‘normal’ for me, but they might not necessarily be for others. Likewise, there is the assumption that healthy eating and products are expensive – some can be, but it’s about knowing where to buy them from, and alternatives you could use that are much less pricey. Here are my top tips to help save pennies while still being able to buy essential healthy ingredients – let’s get going! While I do a lot of shopping at places like Tesco, my favourite supermarket has to be Aldi when it comes to cost and variety. The other day I spotted a tub of coconut oil for £2.99, while fruit and vegetables are so reasonable, plus they rotate their stock on a regular basis so you’re likely to come across all sorts of weird and wonderful things (including plenty of crockery, cooking and baking items) from time to time which don’t break the bank. Become familiar with your local area and find out what markets and independent shops are nearby. I discovered a little organic stall behind Manchester Arndale the other day and I was pleasantly surprised to find all kinds of my favourite wholefoods and healthy ingredients; all reasonably priced compared to places like Holland & Barrett (I shop here, but it tends to be the last resort if I can’t get key ingredients elsewhere). 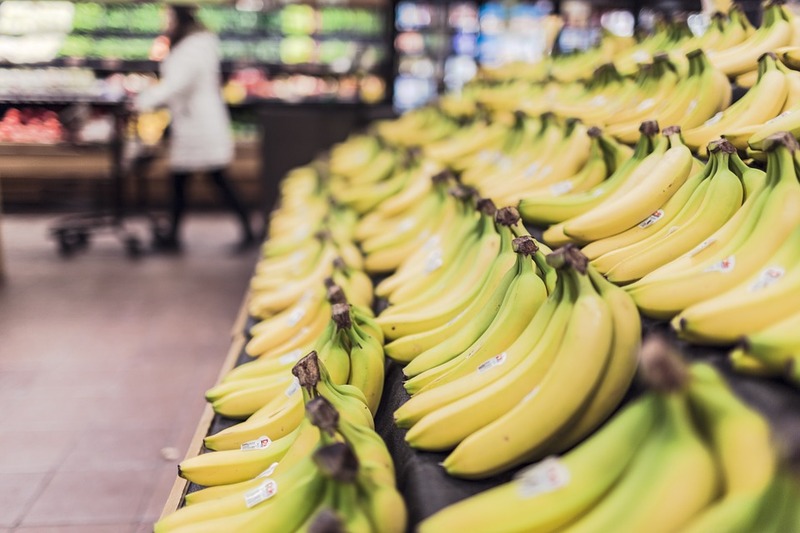 Depending on where you shop, you would be surprised at what you can find in this section of a standard supermarket – and how reasonable the cost is. I usually find essentials like silken tofu, tahini, tamari, coconut milk, herbs and spices, soba or rice noodles in this aisle in my local Tesco (Manchester) – these tend to be cheaper than the same ingredients placed in the more ‘mainstream’ areas so it’s worth having a bit of a hunt round! When you check out the ‘free-from’ section of a supermarket, not only are things overpriced but things like gluten or dairy-free alternatives to biscuits, cakes, bread, ready-made sauces etc. are mainly full of rubbish and not at all healthy! Stick to wholegrain and natural options like quinoa, brown rice, beans and pulses (canned are fine), chopped tomatoes etc. which are better for you and much cheaper. If you are able to, the more you buy of one thing, the cheaper tends to be. This might mean doing a ‘big shop’ once a week or month where you stock up on essentials like rice, chopped tomatoes, oats, large tubs of nut butter. At the time it might seem a little pricey, but I can assure you it will last you a long time and you won’t need to keep replacing things as often. With things like fruit, vegetables and perishable items, double-check the use-by dates so you they don’t go off too quickly. 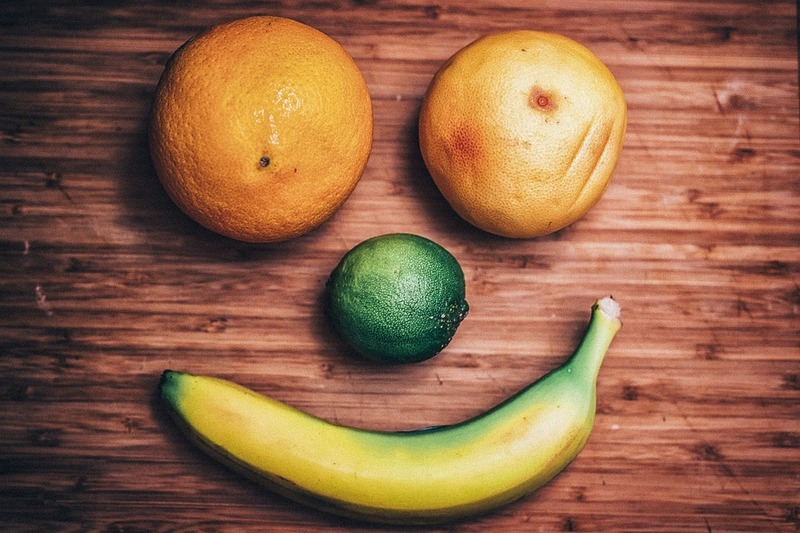 Buying fruit, vegetables, meat and fish according to the seasons is a great way to keep costs down, as importing things out of season bumps up the cost. Things like root vegetables will be much cheaper in winter; exotic fruits and berries will be expensive and the quality won’t be as good at this time of year – and likewise the other way around. 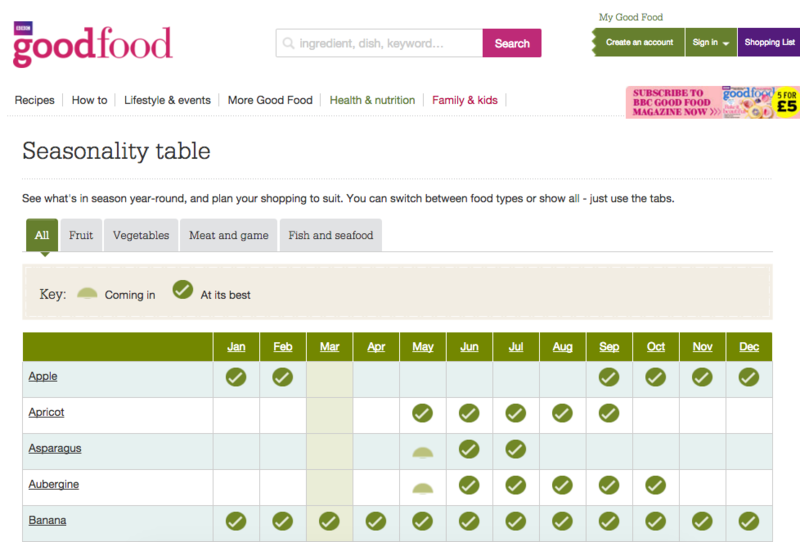 It’s worth checking out the BBC Good Food’s Seasonality Table and becoming familiar with it, so you know what to buy when, while saving pennies too. 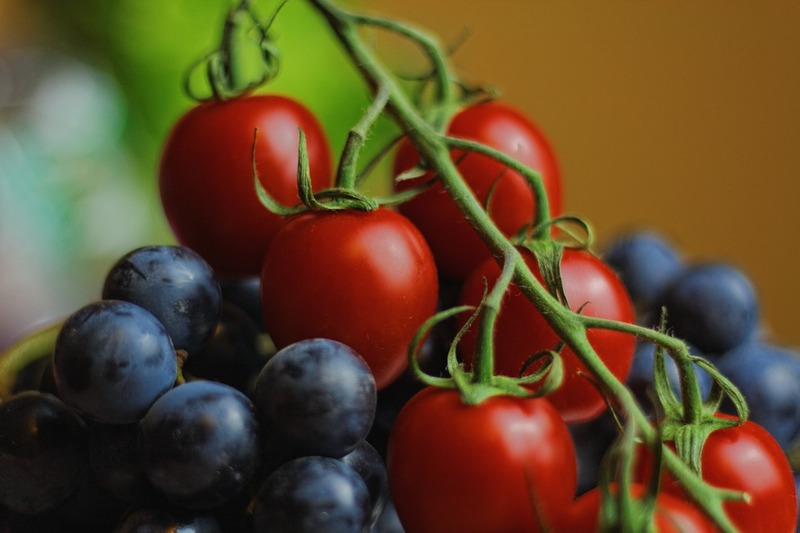 Buying frozen fruit and vegetables is a good alternative if you need to buy things that are out of season, plus in some cases, their nutritional value and vitamin content is actually preserved. I’d be lost without my permanent stash of frozen berries! These don’t cost the earth – Aldi do a great range of things like frozen mixed berries, cherries, raspberries, rhubarb and even mango! Defrost beforehand or use straight from frozen in all kinds of recipes and baking. Believe it or not, you can make your own versions of some of the ingredients I use in my recipes which can work out cheaper. For instance, make your own oat flour by getting a bag of rolled oats (super cheap) and blitz into a flour – then keep in an airtight container or kilner jar until required. Use jam a lot? 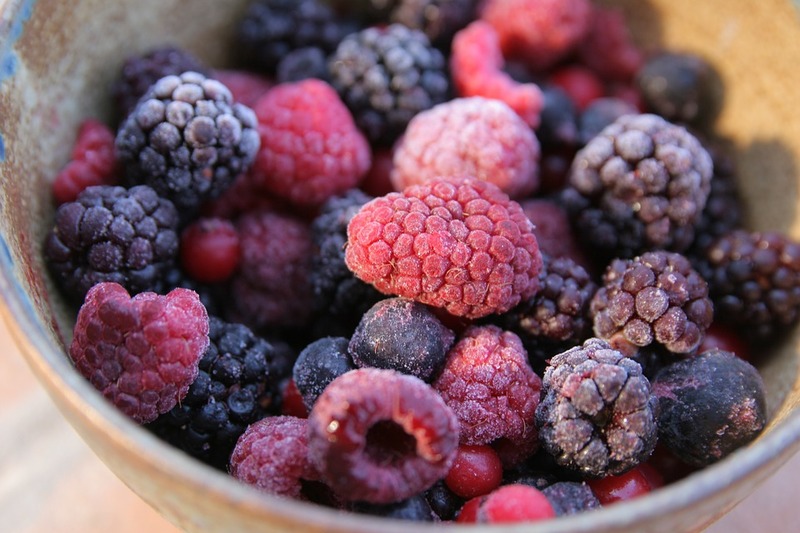 Make your own healthier, low sugar version by simply simmering frozen berries (any kind), stir in some stevia or honey and chia seeds and keep in the fridge. 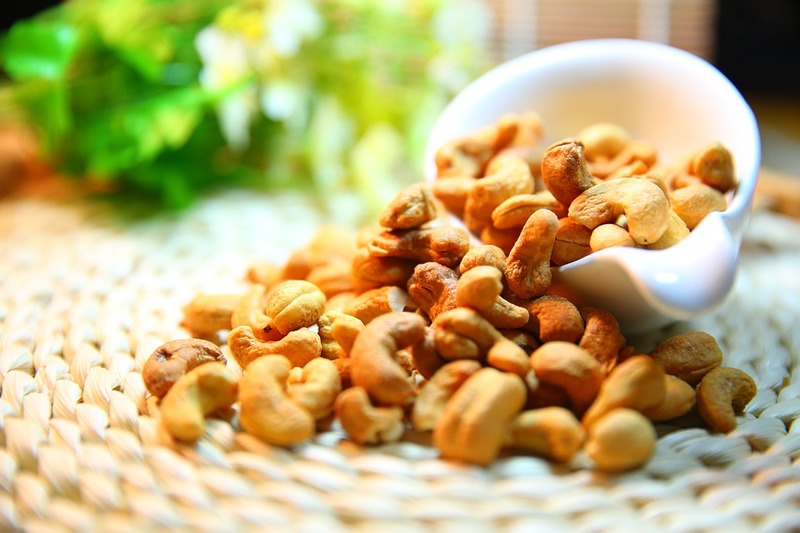 To make your own nut butter, place your choice of nuts in a food processor and blend for 2 minutes – then scrape down the side and run the processor for a further 8-10 minutes. Add any extras like vanilla extract, honey, cacao/cocoa powder and store in the fridge for 2-3 weeks in an air-tight container. I’ll write another post about healthy ingredient hacks soon! It might sound tedious and a bit of a ball-ache, but it doesn’t have to be a chore – having a rough plan of meals and snacks for the week and noting down these ingredients ready for a food shop can really help you cut back on throwing extras into the trolley! Try and make things that require similar ingredients so you’re not buying loads of different things. If you’re making your own snacks, choose recipes that are based around everyday ingredients and only get the extras you need – and that will come in handy for future creations. 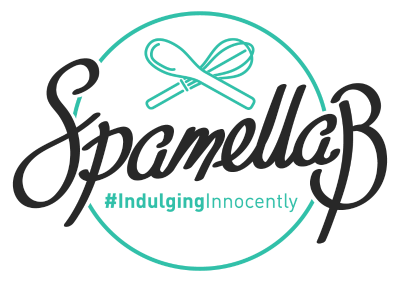 Many of my recipes are actually based on fruits or vegetables – things like mashed banana, pureed apple, cooked and blended butternut squash or pureed cooked beetroot, all cheap and really easily available. Eggs, yogurt, honey or maple syrup and spices like cinnamon and ginger don’t cost the earth, then it’s just extras like coconut oil and cacao powder that might be little more dear. A little goes a long way though, so you won’t need to stock on them as often! When it comes to cooking and prepping meals – make loads of it! Then serve any extras as another meal for the day after (whether breakfast, lunch or dinner) or if it’s suitable, freeze and keep for when time is short or you can’t be bothered to cook. For things like homemade stews, casseroles, chilli and curry, they can actually taste better the next day anyway! This is probably one of the easiest, simplest ways of saving money: using up what’s left in your cupboards or fridge. Get creative: if you’ve got leftover cooked veggies, blitz them up into a soup with plenty of herbs, perhaps some beans or pulses and chopped tomatoes. 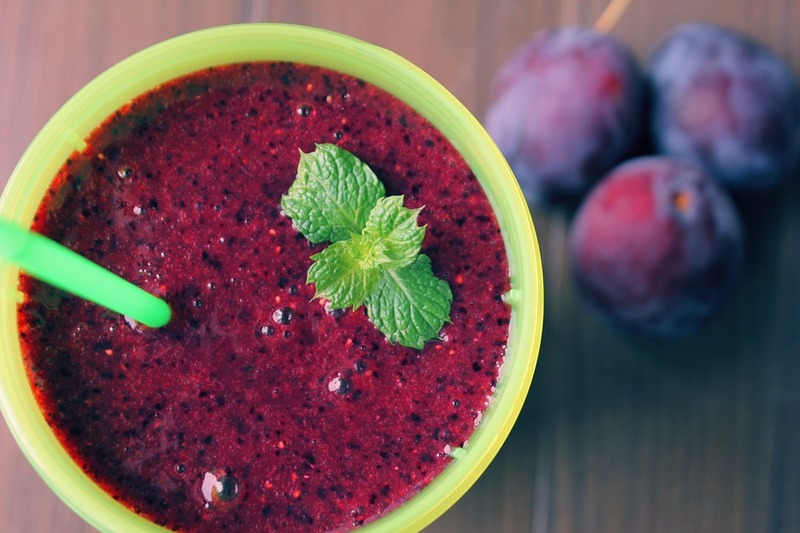 Likewise, throw soft or overripe fruit/vegetables into a blender with yogurt, coconut water, oats and some cinnamon or ginger and make a smoothie for a quick breakfast or snack. If I have any bananas going off, I either bake with them or peel, cut into chunks and freeze them – they make the BEST vegan, dairy-free and much healthier ice cream: Simply whizz up with a bit of coconut or almond milk and any other fruits or cacao/cocoa powder!